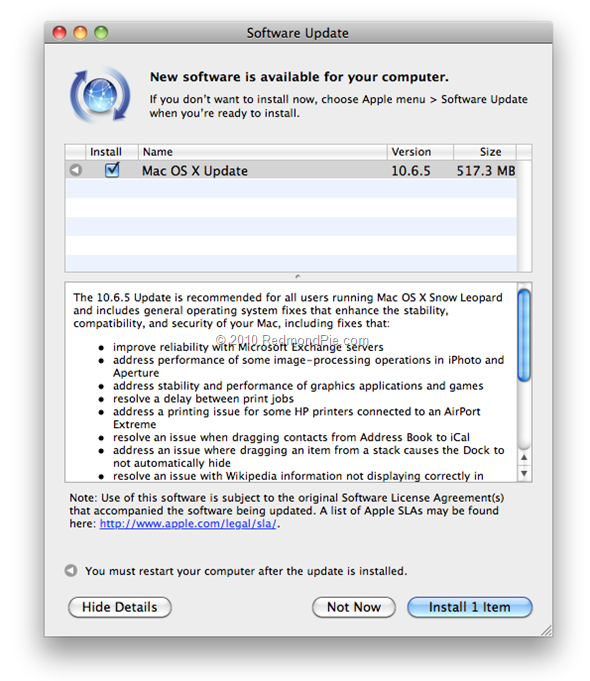 Apple has just released the final version of Mac OS X 10.6.5 Snow Leopard. It is a crucial update and it implements hundreds of fixes since the last few updates, 10.6.4 (June 2010), 10.6.3 (March 2010) and 10.6.2 (November 2009). You can get the update from Snow Leopard’s Software Update, or directly from the Software Downloads page here. You can see the full details associated with the update here.